Bathing a newborn baby is easier and safer now with PRIMO's Infant Bath Seat. Designed for an infant from birth to 6 months old, the new PRIMO Infant Bath Seat cradles the infant by supporting the legs and arms while bathing. Mother can safely bathe her infant with the PRIMO Infant Bath Seat, helping to prevent the baby from slipping under the water. 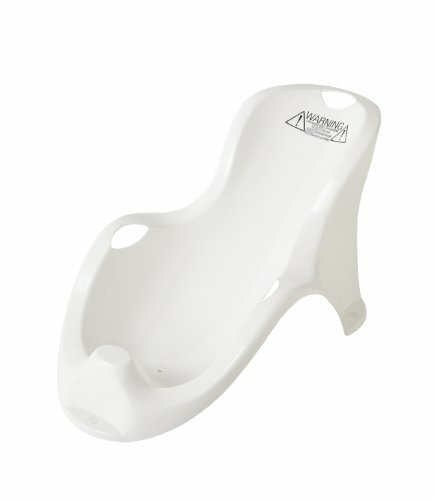 Suction cups hold the PRIMO Infant Bath Seat securely in place in almost any bath or sink without a non slip surface. It's perfect for home or for traveling. The PRIMO Infant Bath Seat is designed to hold an infant up to 18 pounds and 28 "es long. It is made from non toxic plastic resin that is lightweight and easy to clean.